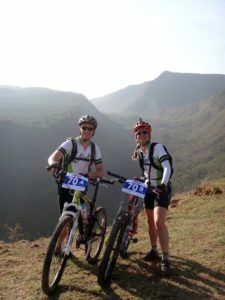 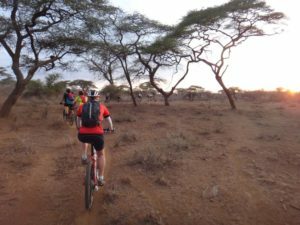 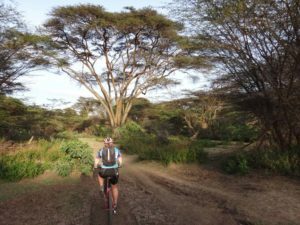 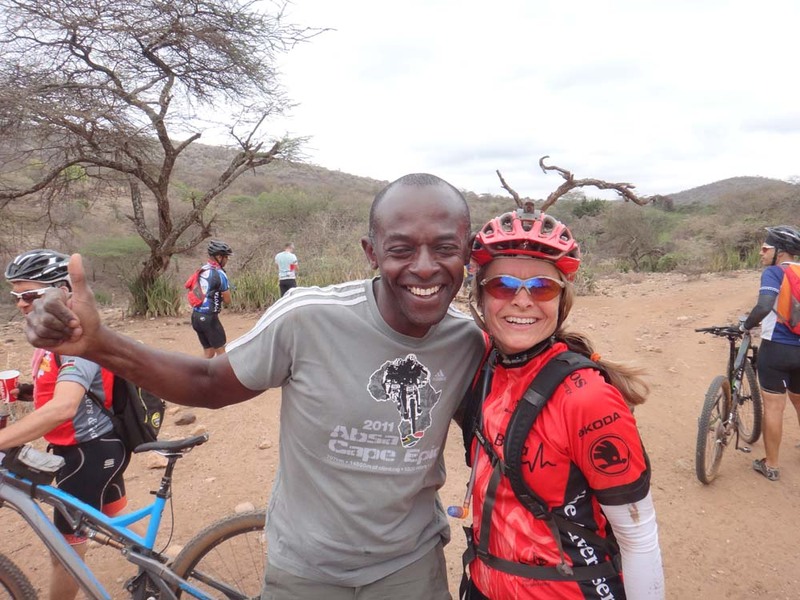 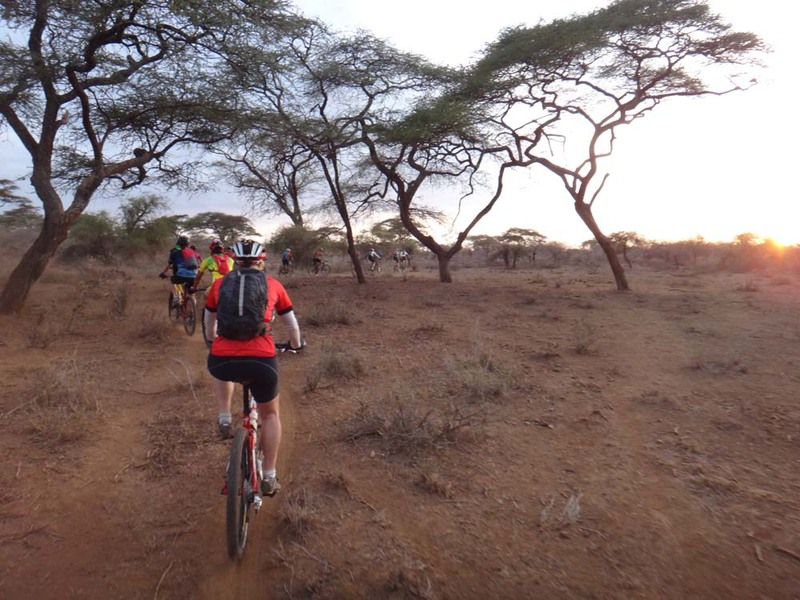 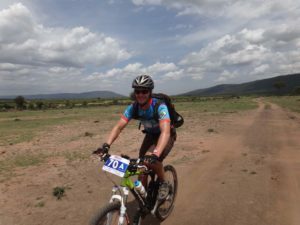 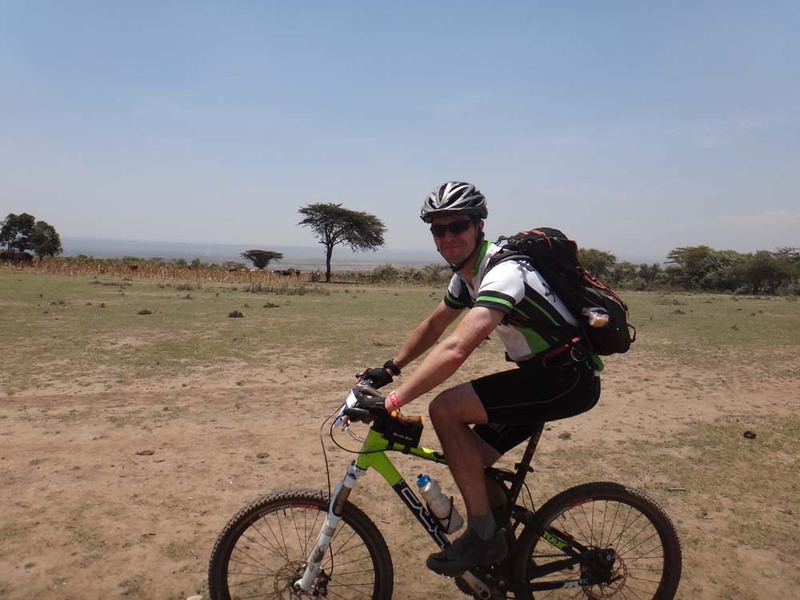 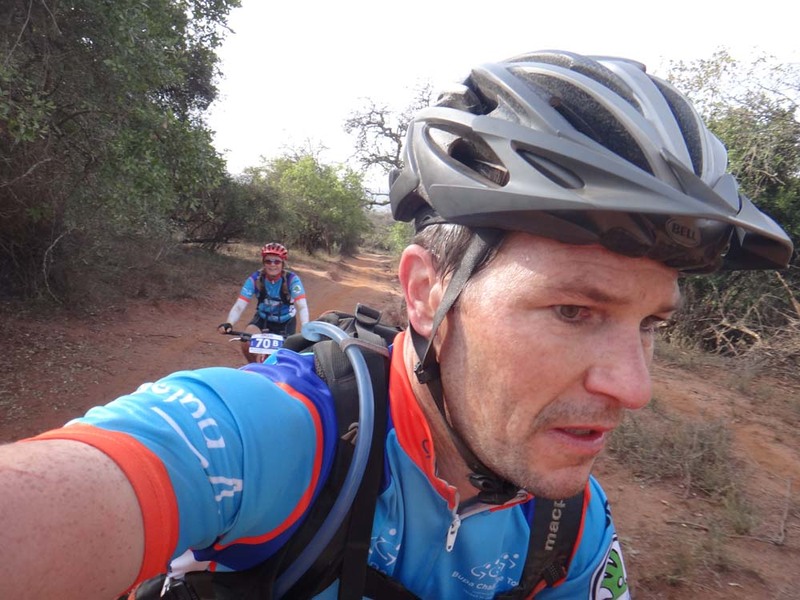 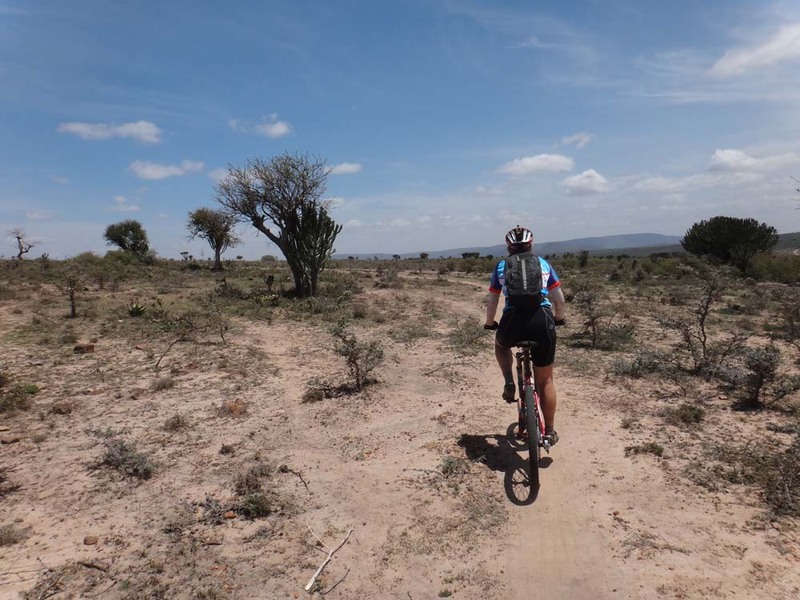 A few years ago we wrote about our mountainbiking with lions experience in Kenya. 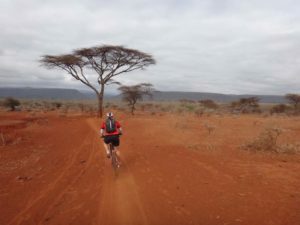 If you haven’t yet, you should really read it and see how close we got to the lions! 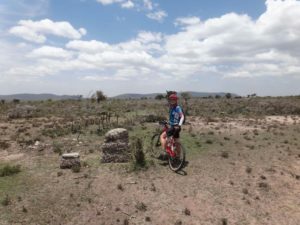 We really loved the Rift Valley Odyssey and were keen to ride it again as Eric and Gerald plus numerous scouts like Alex always find amazing single track through the most stunning scenery. Optimistically we signed up months in advance, hoping we would miraculously find some trails to ride in the area around Dar es Salaam for our training (we’re still looking…). We didn’t find any nice trails, but we did find some other mountain bikers in Dar who showed us a loop with some hills. We met Ryan and John at the paddle to Zanzibar crossing, and they introduced us to all the other guys here in Dar who were training for the RVO. 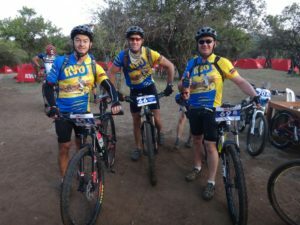 Through them we met Alex, Darren, Dave and Grant who all ride several times a week in the morning. Very early in the morning we should add… meeting at 4.45 at the Food Lovers Supermarket… And of course we already knew Dimple who was also heading over to Kenya for the ride. Alex, Darren and Grant were also riding the three-day version of the RVO, like us. 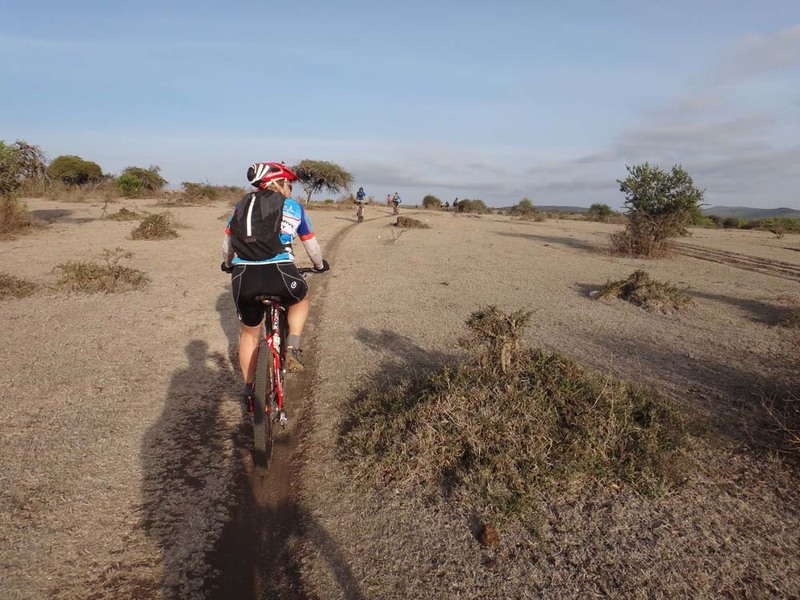 The rest were going for the full 5-days experience from Nairobi to the Masai Mara. The five of us flew to Nairobi on a Tuesday, and were picked up by two vans with drivers who would take us to the campsite on top of Mt Suswa from where we would start the next morning. It took a little longer than expected so we arrived in the dark, but we had made it, complete with bikes. The camp was buzzing, the red little tents all in a row looked amazing and dinner was being served. We bumped into several good friends and familiar faces; Eric, Gerald, Anne-Marie, Alex, Guy, Steve, Marco, Farook and several others. It was good to be back! We spent the night preparing our bikes and getting numbers for the bikes sorted before diving straight into our tents for a good night’s sleep hopefully. 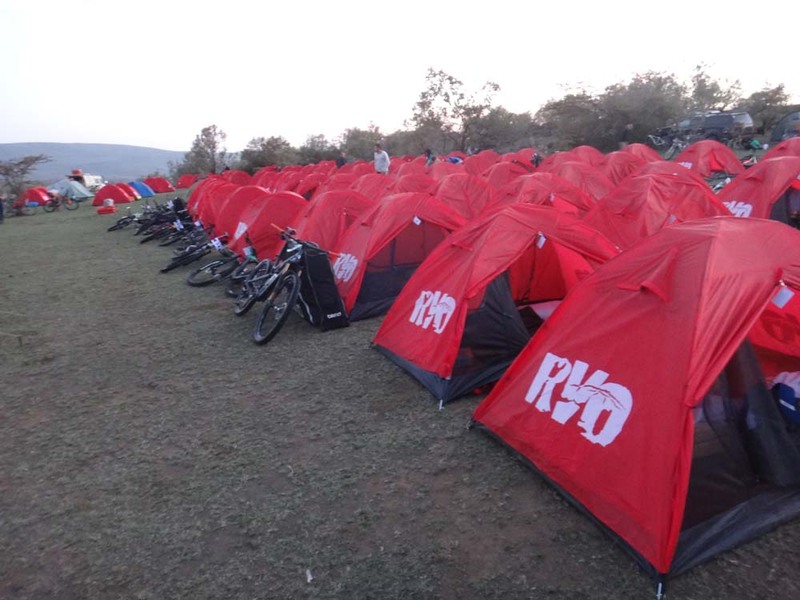 As the tents are tiny, big enough for a comfy mattress and a bag, we each get our own. The next morning we get stuck into the usual rush before an event. 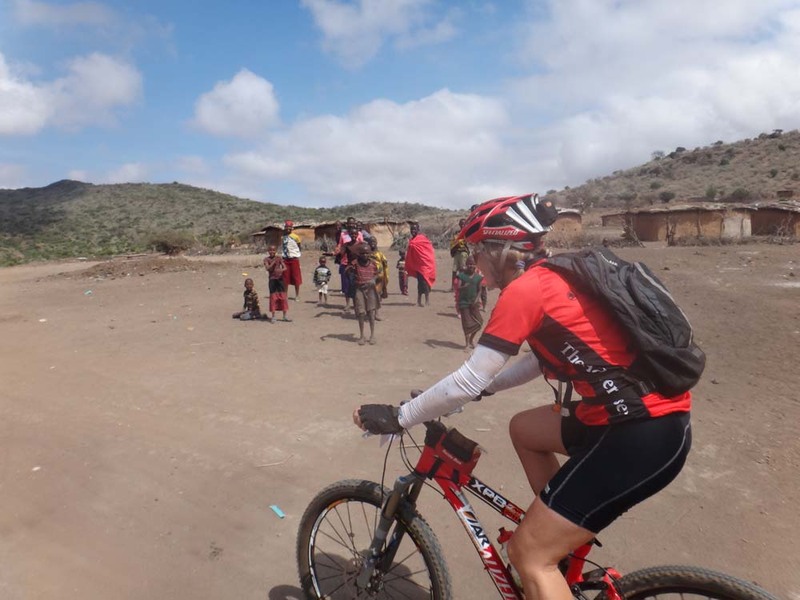 Breakfast, toilet stops, packing of bags, dropping of bike boxes and more toilet stops. 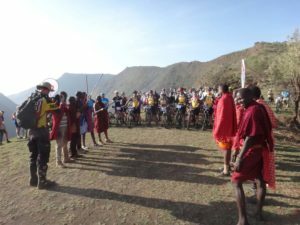 Until we all line up at the edge of the crater for the start, the local Masaai people give us their blessings and off we go! Some hit the paddles hard, but most have a more cruisey attitude, knowing there are lots of kilometers to go today before we reach the finish line, 94km to be exact. 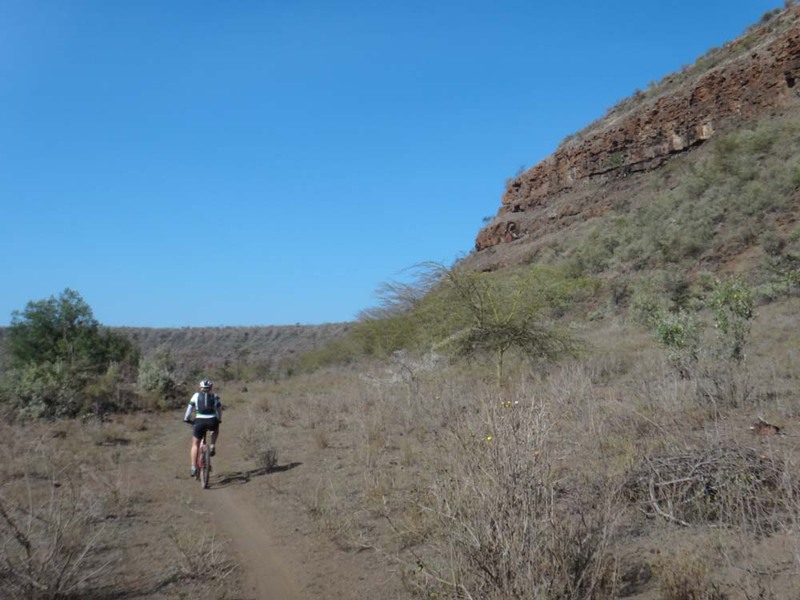 The trail starts in the outer crater and has some smooth single track through the trees, we find ourselves all alone here and really enjoy the riding. 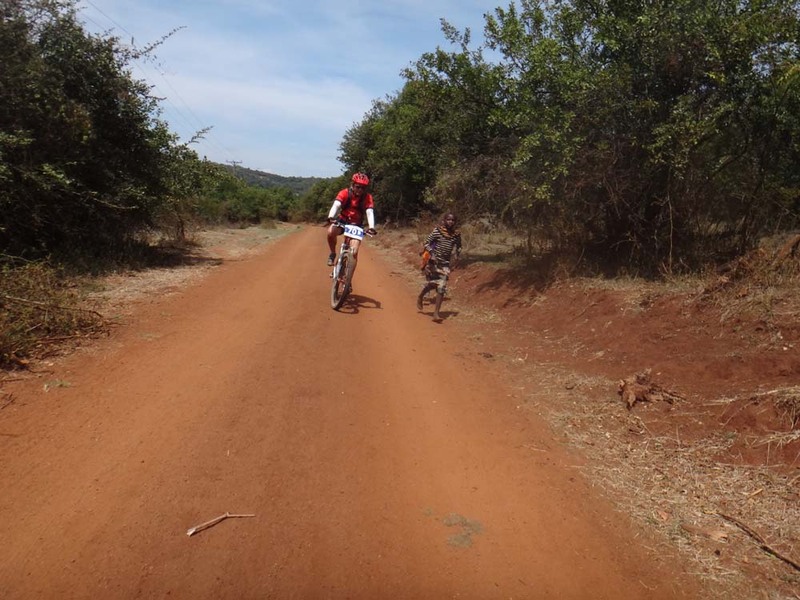 Several downhill sections follow and we are making good progress. It isn’t long though before we remember the profile of today’s ride, it has a lot of ups too… 1260m of up to be exact… But the scenery is so beautiful it is a pleasure to ride here in Kenya, so different from our training rides in Dar. 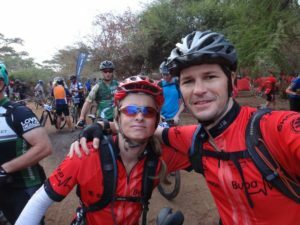 We make it to the finish line, slipping and sliding in the bull dust the last kilometers, pretty tough when you are already tired. The camp next to the Ewaso Nyiro River is in a beautiful spot and many wade into the cool river to sooth aching muscles. We are pretty tired with the usual soreness after a long day in the saddle, and quickly go about getting ready for the next day. 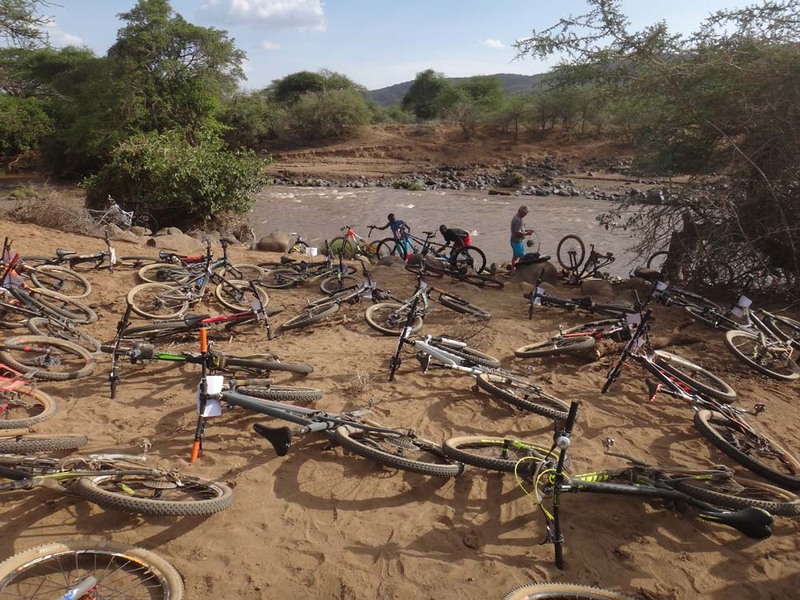 The team do a wonderful job cleaning the bikes and Jude has a massage before a quick dinner and then bed. The next day is a super early start as it is a tough day. We are ascending from 1250m to 2300m with a total of 1900m of climbing over 95km. The start is through some of the same bull dust as the finish from yesterday, but not for long. 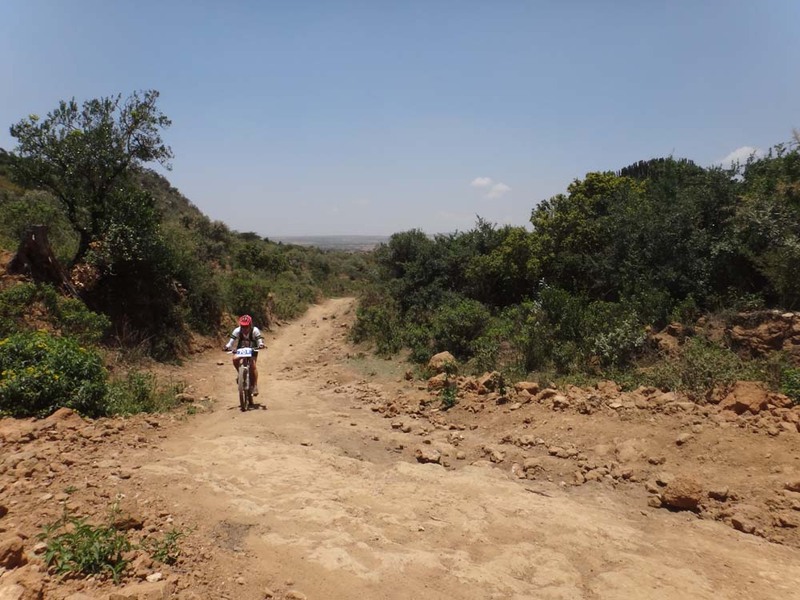 And then we all find ourselves at the one and only bridge across the Ewaso Nyiro river. 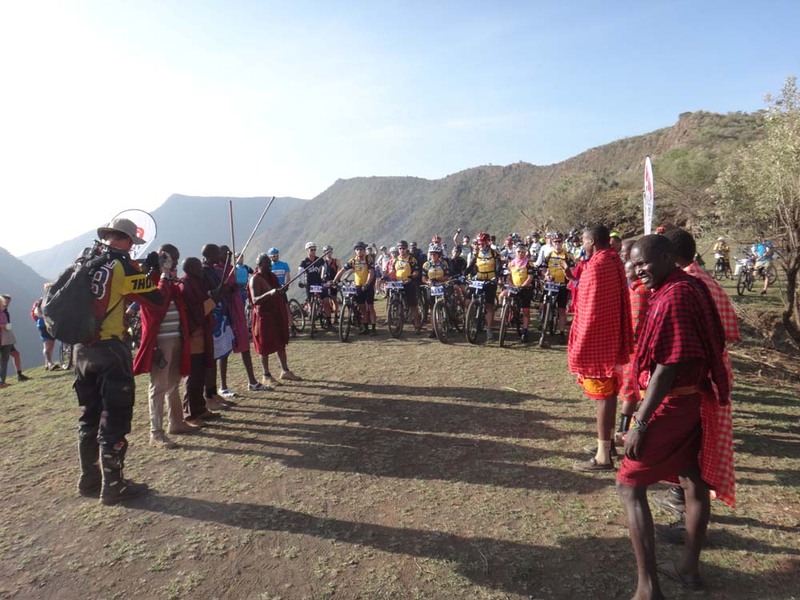 Blocked by Maasai people who want more money. 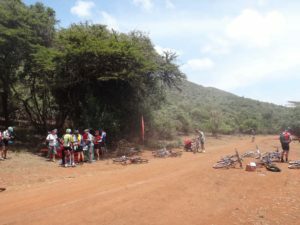 Eric had already made all the arrangements of course, but it seems Maasai people don’t honour a business deal with a contract… nearly an hour later the negotiations come to an end and the bridge is opened up to let us through and we are finally on our way. Straight after the bridge the torture starts and we found ourselves climbing 150m straight up the cliffs to get out of the Rift Valley. 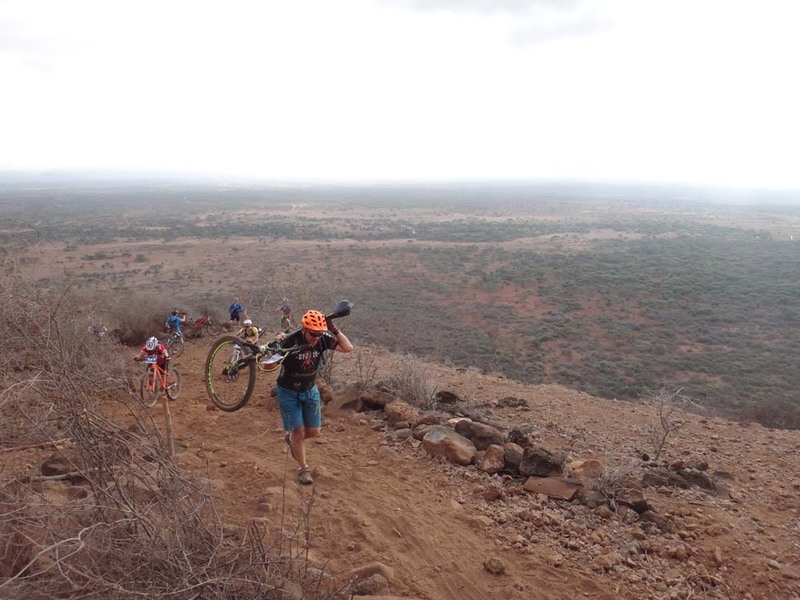 Bits can be ridden on the newly built track, but several sections are too steep with too many large boulders. 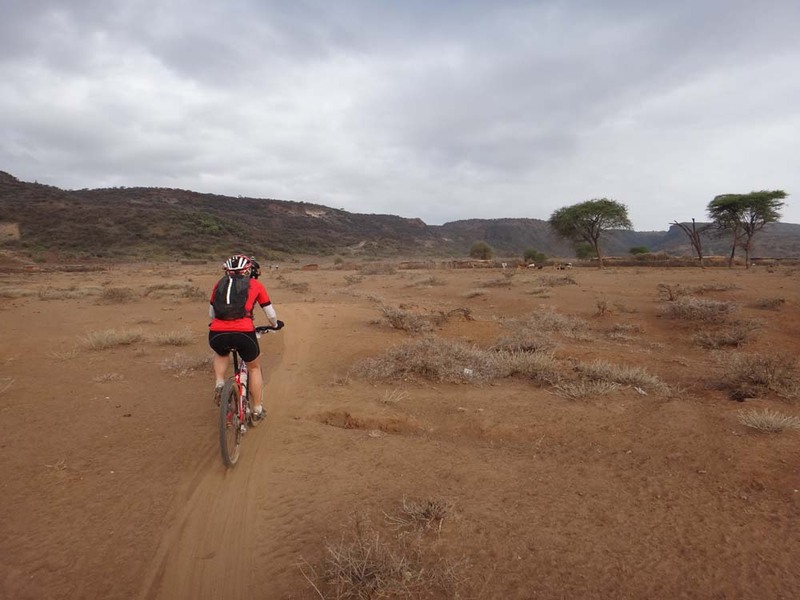 But the views are all worth it, and so it the sweet, red-earth single track we find at the top of the escarpment. Because of our decision we arrived around 2pm. In time for lunch, a shower, a nap, a walk to the hot springs and getting ready for the last day. 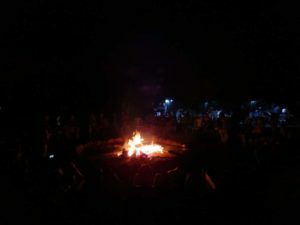 We had dinner around the campfire, which was great as it felt cool here at night at this altitude. 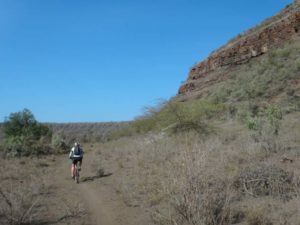 The next day is the longest ride, 100km, with again a fair amount of climbing although not as much as the second day (only 1570m on this last day). 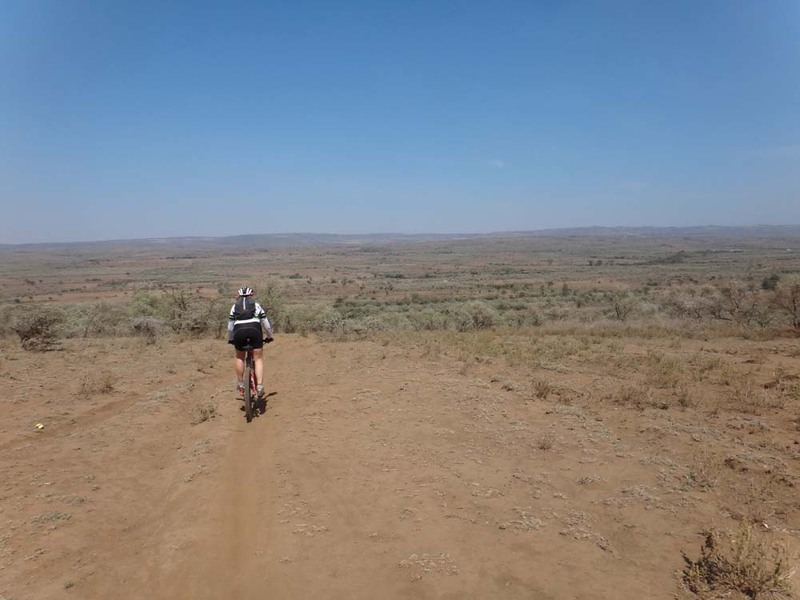 We ride past the Tanzanian – Kenyan border posts and especially the last 15km or so it feels like we are flying. 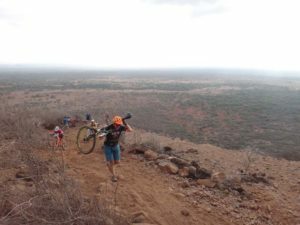 It’s downhill on some smooth, flowing single-track and we are happy we will finish. Yet again we tell ourselves that we’ll need to make sure we are fitter next year…! Jon smiling, we are near the finish line! 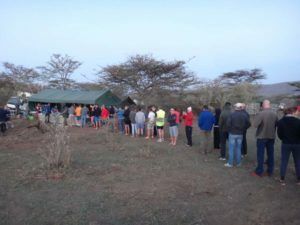 Last night in camp is fun. 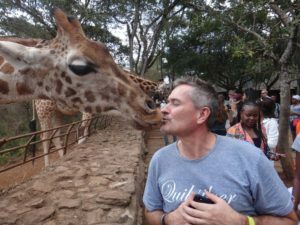 No more worries about surviving the next day, and we finally have some decent time to catch up with friends before all are heading home again. 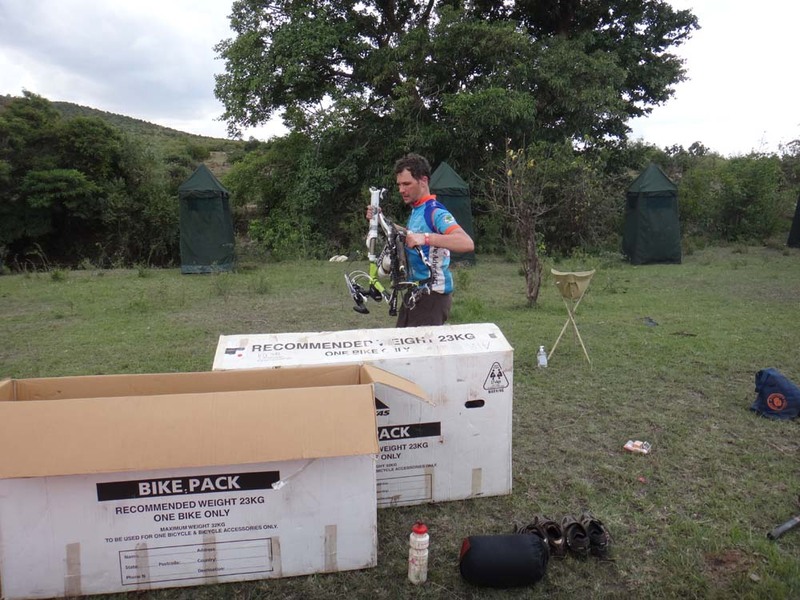 Bike boxes are quickly packed for transport by bus back to Nairobi. 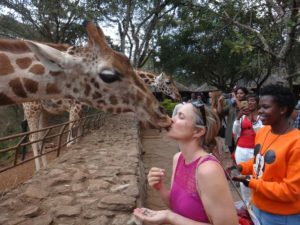 We will see them again at the airport. 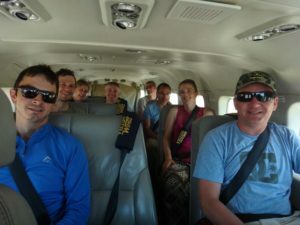 Ryan has organised a charter flight for us directly from the Masai Mara to Wilson airport on the last day. 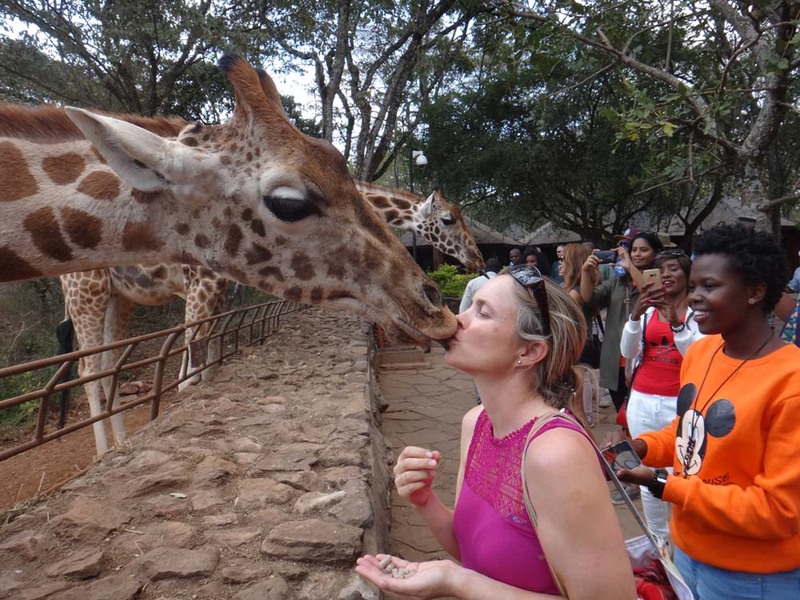 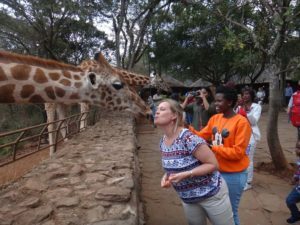 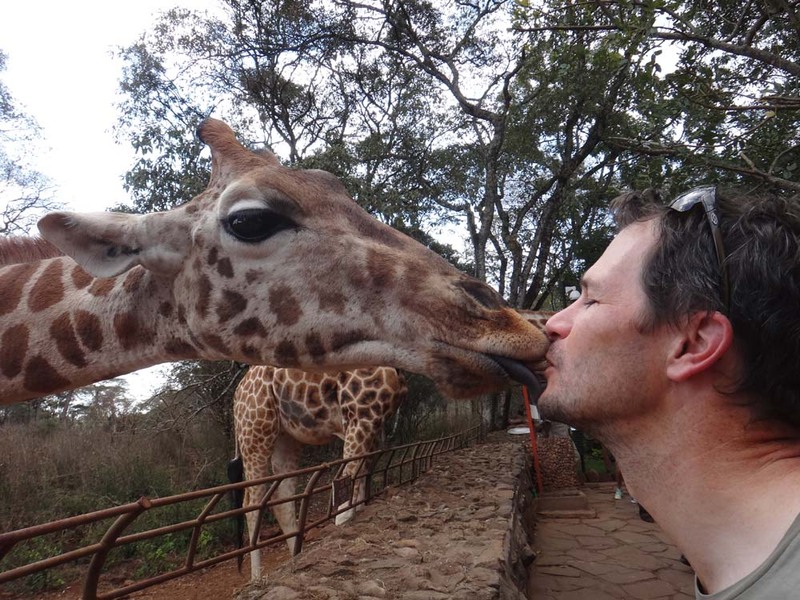 We even arrive in Nairobi with plenty of time to go for lunch at the Purdy Arms and visiting the Giraffe Centre, Kazuri and Matbronze. 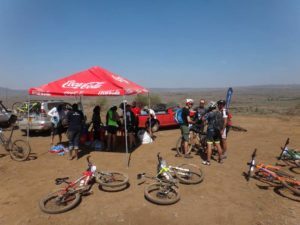 As always a huge success. 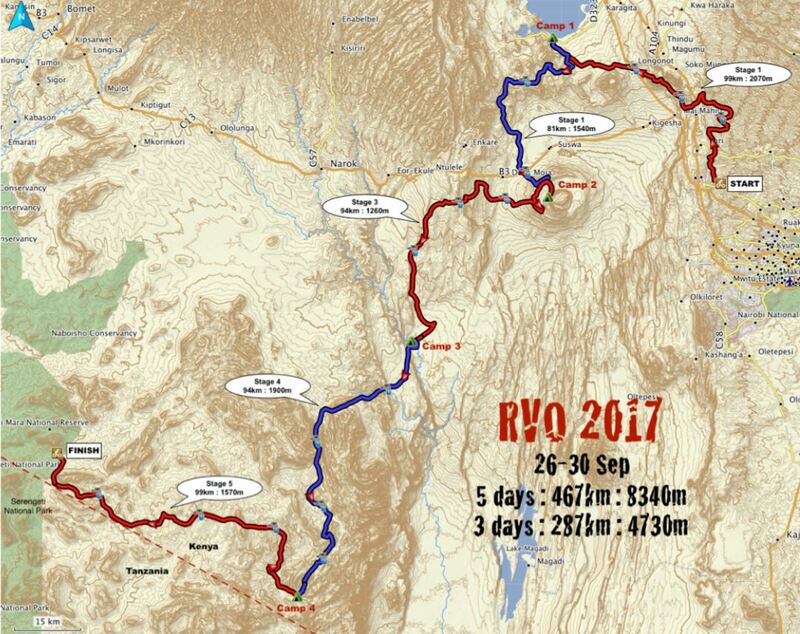 We’re definitely putting the RVO on the calendar for September 2018. 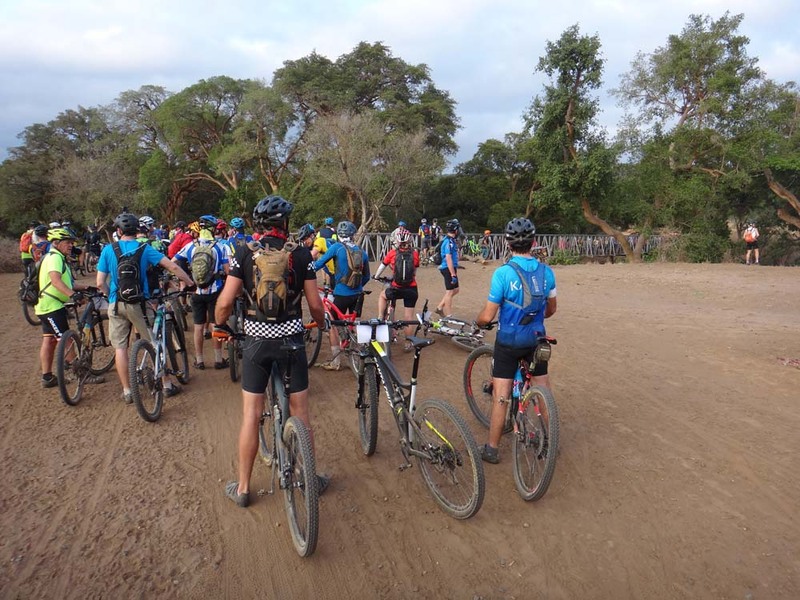 The question is, will we ride 3 or 5 days, and will you join us? 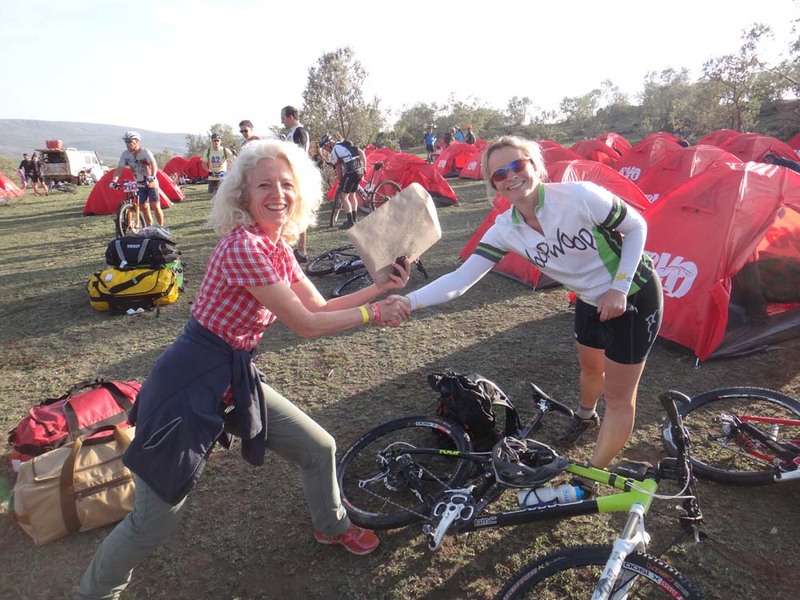 Check out this little promo video of this year’s RVO (2.28min) maybe that will convince you?! Otherwise, god job again Jude! 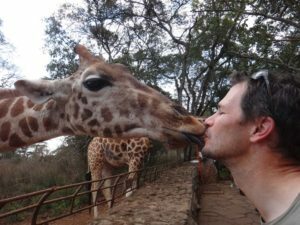 Not much wildlife this time 😀 hopefully more next time! Zoals gebruikelijk heb ik met genoegen, bewondering en enige jaloezie jullie mountain bike-avontuur gelezen, erg leuk en weer prachtige foto’s! 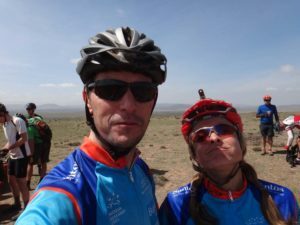 Bedankt weer! 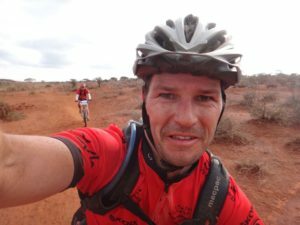 Ben benieuwd of ze de uitdaging aangaan!